Saiterm Smarter Innovation | Extra-ordinary energetic-efficiency. Extra-ordinary energetic-efficiency for homes, officies, warehouses and community facilities. We transform every single watt into pure heat, thanks to the research and patents that Saiterm has applied to the SPRING panels. 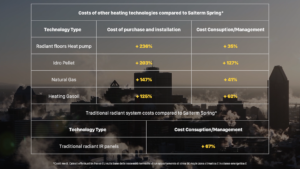 The data shows that the Saiterm SPRING panels, boast the best cost per /heat ratio in the world. SPRING, reduce – indeed – we drastically cut consumption, as never before. 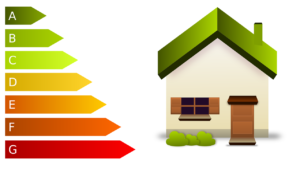 There are no comparative products, either among traditional systems, such as gas, pellet, heat pumps, or among systems apparently similar to the SPRING panels. All thanks to the unbeatable cost/heat ratio. SPRING is the most efficient heating system in the world.